In the summer of 1994, I met a tall, handsome, smart, funny man who suffered from a broken heart. Let’s call him OB. OB’s broken heart spoke a language that my wounded spirit could hear loud and clear – and we decided that meant we belonged together. After a few months, it became apparent that he often drank to excess and had a hard time holding a job. While many women would run from situations such as this, it was just the kind of rollercoaster existence for which I had been trained. The trauma of my parents’ divorce coupled with my mother’s mental illness made uncertainty a familiar friend. So, I married the broken-hearted charmer and that’s where this part of my story begins. The more I tried to create my ‘warped version’ of what I thought marital bliss should be, the more his addiction grew. I screamed. I yelled. I cried. I blamed him, my job, his family, my friends and his failures for my pain. The self-imposed pressures of creating a life neither of us had ever seen were crippling. Eventually he expanded his drugs of choice to include crack cocaine and that accelerated the rollercoaster, almost immediately. Many things happened during that rollercoaster ride. There was a level of betrayal, lies, devastation and loss the likes of which only alcoholism, addiction and depression can create. And although I often despaired, there was always a tiny glimmer of hope. My ‘Source’ held me close, so I pressed on. As OB struggled through the dark world of addiction, I relived my old patterns of secrets and sadness. Like many spouses and loved ones of drug addicts and alcoholics I had my own battles with self-esteem and abandonment that drove my decisions and actions. During my husband’s first stint in rehab I was introduced to the idea of counseling. It was a requirement for him, as a part of his treatment plan, but had never even been on my radar. Thankfully, this program strongly recommended counseling for the family members, as well. In the one and only shared session we had with the psychiatrist, I realized for the first time how much my upbringing impacted my adult life. I grew up in a home led by a smart, powerful, talented mother who lived much of her adult life battling the symptoms of mental illness. In fact, all the members of my immediate family were painfully impacted. We all were at war with the voices in my mother’s head. Mental illness was the unspoken family secret that consumed us all. Growing up that way I learned to keep secrets, hide my feelings, power through, fight on, be quiet and place blame. Now that’s not all I learned but it was certainly those lessons that drove my romantic relationships. They colored my perspective on what love felt like and how it behaved. I learned that love could often be brooding and volatile, unpredictable and scary; and somehow at the same time feel protective, nurturing and life sustaining. Throughout the early months of my marriage, I blamed my ex-husband for my pain. I held him accountable for all that was wrong with our lives. I never let him forget how much I had sacrificed for him and how much he needed my love. And I do mean NEVER. We rode the alcoholism, addiction, and depression rollercoaster for many, many months. And then I went to my first Nar-Anon meeting, a 12-step meeting for family members and loved ones of those addicted to drugs. A dear sweet friend accompanied me and helped me be brave. There I began to consider the concept that it was about me, not him. It was the first time I learned that I could create my own future and manifest my own victories. Changes to my own behavior, not changes to anyone else’s behavior, were the key to my healing. It was the most powerful and profound lesson I’ve ever learned. I was codependent, suffering from what Yoga for 12-Step Recovery (Y12SR) founder, Nikki Myers calls the “disease of the lost self”. I think that described my existence at the time, perfectly. Eventually, OB and I separated. I kept going to the 12-step meetings and slowly began to feel better. I found the courage to close that “rollercoaster period” of my life by changing the locks on the front door and packing his things for the last time. I continued going to meetings for a while after we separated and was grateful for the relief. 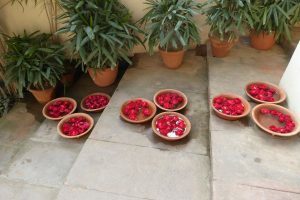 As I looked around the church basements and meeting rooms where the Al-Anon and Nar-Anon family meetings were held, I noticed that I was often the only person of color in the room. I mean, as a Black woman, it’s something I almost always notice. Naively, I was actually surprised that there weren’t more black and brown faces represented. That we weren’t seeking the healing these programs can facilitate. I knew then that I wanted to help but I always felt like I had so much of my own healing to do, and that I didn’t have much to offer. After a few more months of separation from OB, it became clear that there was no value in both of us being ‘sick’. I had to find a way to thrive, no matter what choices he made. For many years, I often revisited the decision to no longer live with my husband and dissolve our marriage. The consequences were devastatingly life altering for him and we both suffered greatly. Today, I know it was the most critical act of self-care I’ve ever performed. Fast forward to 2010, I’m no longer attending the 12-step meetings. I’m living a comfortable life but I carried a gnawing ache in my belly that I didn’t have a name for. 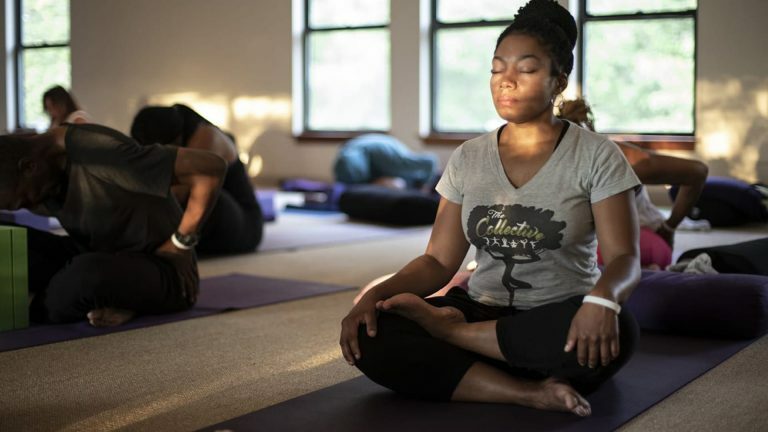 When Charlotte Family Yoga Center opened I was able to really grow my yoga practice and slowly but surely everything changed. The mind, body, and spirit connection that yoga can foster moved me closer to my ‘True’ self. It allowed me to hear my own voice and hear the voice of my ‘Inner Source,’ the part of God that lives within me. After eight years of being a student, I heeded the call and gave in to the influence of a couple of very wise friends. I decided to become Yoga Teacher. The disease of addiction and the disease of codependency are diseases of separation. The practice of yoga took me to a place of stillness. Deep within that stillness, I felt freer to explore my pain, my power and I became clearer. I continued to meditate on how I could help others counterbalance the impacts of addiction, and then I attracted an answer – Y12SR. While riding home from work one afternoon I heard a radio interview featuring Nikki Myers. Y12SR is a relapse prevention tool that combines the wisdom of yoga with the practical tools of the 12-steps. I didn’t even hear the entire interview, but the seed was planted. 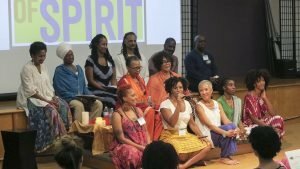 Shortly thereafter, I attended the 2017 Black Yoga Teachers’ Alliance (BYTA) Conference where I connected with a wonderful yogini from California. While eating lunch together, she introduced me Nikki’s daughter Mysh and I learned a little more about the Y12SR Training for Yoga Teachers. Mysh and I became Facebook friends and when I saw that a training was being held in Atlanta, I knew I had to be there. In December 2017, I became certified to hold space for others as a Y12SR leader and in April 2018, I held my very first offering. The Y12SR website sums up the magic of yoga beautifully. “Addictive behaviors disconnect us from ourselves, our loved ones, our environment and so much more. Conversely, yoga itself means union, integration, balance. 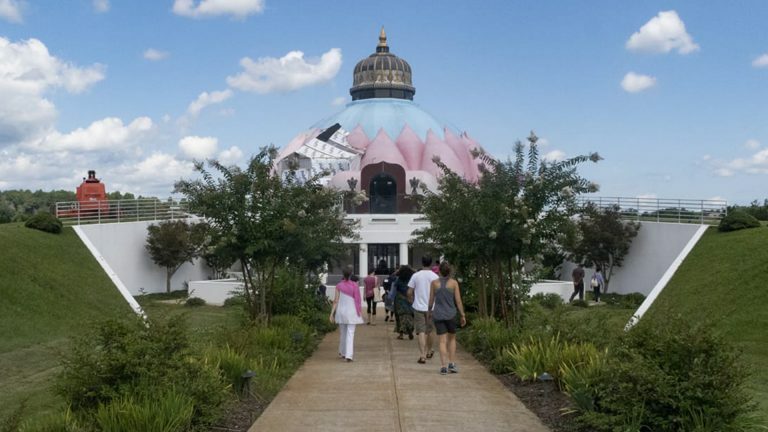 Yoga and its practices teach the fine art of balancing our multidimensional lives while living in a complex world.” There are mountains of scientific research that confirm why Yoga can be a sustainable addiction recovery tool. My personal experience is that Yoga is a healing modality. It ignited my inner fire and lit my pathway to healing. And being a yoga teacher allows me to hold space for others to heal. I’m not always comfortable with the label “healer” but to quote Abraham Hicks, “I am here to soothe and uplift”. I am honored to share my strength, experience and hope with anyone who asks for support. I believe we all have the power to heal and I am committed to holding space for anyone who wants to join the movement. 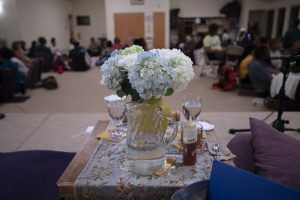 Our monthly offering resumed in January 2019 and will take place on the 2nd Friday evening of each month from 7:45 p.m. to 9 p.m. We will meet at Charlotte Family Yoga Center (CFYC) located at 8230 Poplar Tent Road, Concord NC. I am immensely appreciative for the generosity and support of CFYC’s founder Diane Cevallos, and her partners, Vicie Moran and Kara Vincent.